파리, 프랑스의 아베니르 호텔 | 호스텔월드에서 예약하세요. Please note for all cancellations send a fax to +33 (0)1 40169262 or email the hotel info@hotel-avenir.com. *Cancellations over the phone will not be accepted and will be considered as invalid. Group Booking must be cancelled 20 days in advance of your arrival date. In the event of a no show, or a cancellation with less than 20 days notice prior the date of arrival, an amount equivalent to one night average cost of accommodation will be charged. we required the 1st night payment on the booking. Please contact us after booking to pay the first night. The remaining balance is due on arrival. 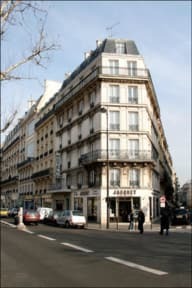 In the Avenir Montmartre hotel you will be able to enjoy the typical French breakfast which is included in the room rates. 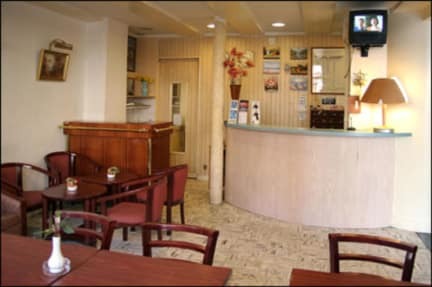 It is served every morning, from 7:00 to 9:00 h, and includes delicious pastries as well as hot and cold drinks. And for your comfort, there is a public parking only 30 meters away from the hotel. Additionally: your pet is welcome in our hotel!